and have read and understood all instuctions on our website, and information on our packaging. It is up to the user to determine the suitablility of the products. Orders are accepted only from the continental United States. Products are shipped by end of next business day 99% of the time. 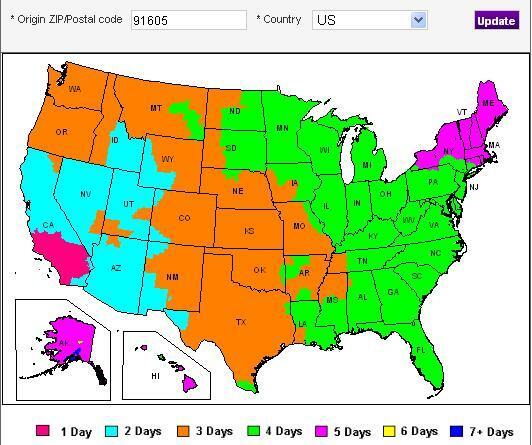 Fed-Ex estimated delivery times are shown on chart below. and will appear on the checkout page. Sales tax is required and added for all sales shipped within California. We manufacture our products in North Hollywood, California. as we cannot assure freshness or original condition.